My favorite green smoothie & dessert is right here, plus some products that I use daily! Allright, I admit it…I’ve become a Chia seed addict! First, I started by adding these little guys to my mid-morning green smoothie. (I teach ten classes per day and need to be “ON”! Believe me, I need an energy boost before lunch!) 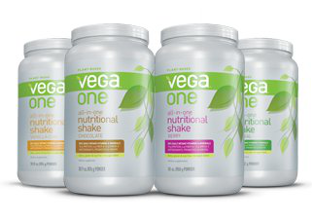 A month ago, I decided to start using Vega One nutritional shake, which is loaded with vitamins, minerals, and most importantly with 15 g of protein! I noticed a difference in my energy level right away, but I also think it is due being much more conscious about what I eat, plus my plant intake has dramatically increased over the last five months.